Gorgeous Light-Filled Home Nestled in Picturesque Privacy on 1+ Acre with Master on Main! Beautiful backyard w/heated saltwater pool & outdoor grilling, eating area. 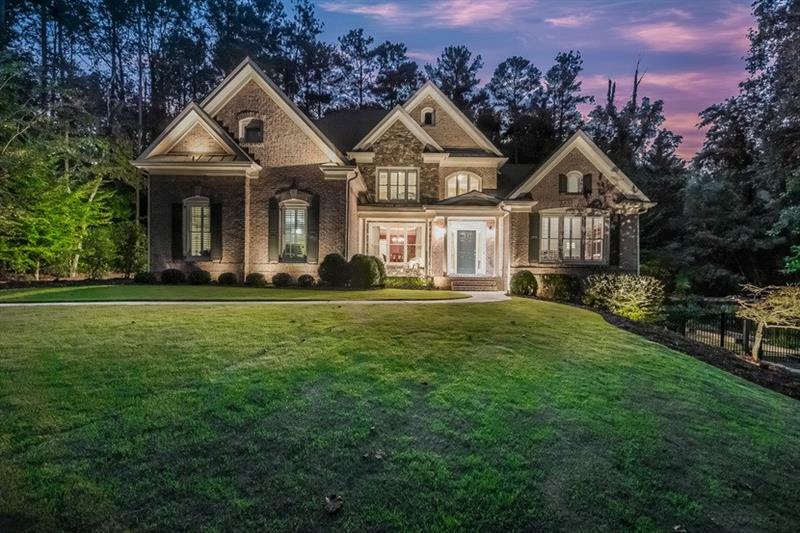 Entry foyer opens to formal LR/office, DR, 2 story fireside family rm w/built-ins & floor to ceiling windows overlooking screened porch. Chef's kitchen w/granite countertops, lg center island, SS appliances w/keeping room, stacked stone fireplace, bkfst room. Laundry mud room area. Oversized master BR w/ sitting area, spa bath. 3 BR, 2 BA up, finished terrace level w/BR, BA, Rec room, office. 3 car garage. A representative from Metro Brokers has received your request to visit 8340 Hewlett Road on at .